Rialto Tower co-owner, Lorenzo Grollo, is already commissioning artists to paint a prettier picture of the precinct, following his acquisition of several buildings in the nightclub zone. Grollo will redevelop Inflation nightclub as cafes and restaurants, which has no doubt put a smile on Rialto tenant and Vue de Monde proprietor Shannon Bennett’s face. The connection goes deeper than Bennett’s iconic French restaurant occupying space in the iconic tower. Grollo and Bennett have already opened a live music venue in nearby Geddes Lane. The pair have turned the old strip joint known as Showgirls into the Geddes Lane Ballroom as part of the King Street Revival Project. “We’ll be presenting great food that has a social conscience, is sustainable and good for you,” Bennett said as the redevelopment of the property began. It's not the only investment being made on King Street. 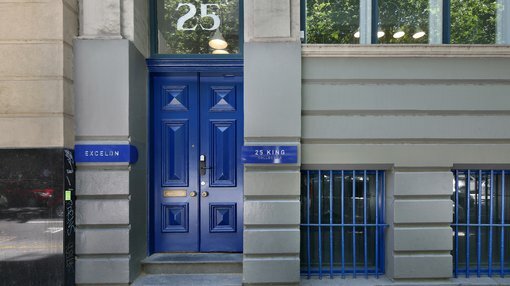 The corporate world is also undergoing a change following Excelon’s acquisition of the historic 25 King St address. Excelon purchased the King St property for just $5.4 million in May 2017 and, with the revitalisation of the area in full swing, this is no doubt one of the best investments Excelon has made. Excelon is a boutique development company run by brother/sister duo, Kelvin and Rachel Taing, who have been active in the Melbourne property market since 2011 and recently completed development the Clyde Mews eco-village in Thornbury. In conjunction with architects, Six Degrees, Excelon has created an exclusive development of eight townhouses and apartments that make use of natural environments to help cut down high energy prices. The townhouses feature communal gardens, irrigated with rainwater that is collected from roof dwellings. Excelon broke the residential price per square metre sales record in the inner northern Melbourne suburb thanks to home-buyers attracted to sustainability and lifestyle-enhancing features. As the property markets soften, allowing previously priced-out people to buy, there could be a shift to purchase and or invest in this type of property. 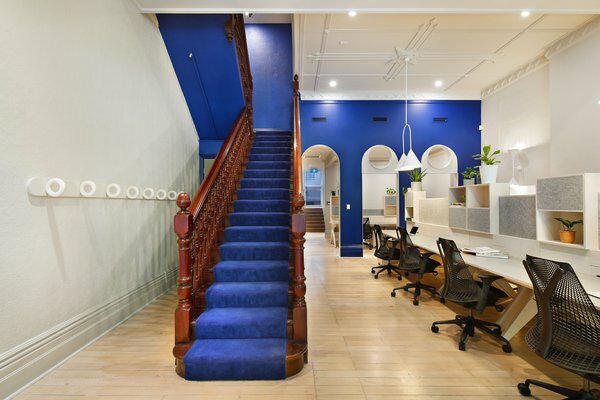 Excelon has brought these community fundamentals to its redevelopment of the Melbourne Steamship Company building at 25 King St and is attempting to create a similar community-focused space where tenants can rent space for as little as $450 per month. The redevelopment is a nod to history as it retains original touchpoints, including the staircase, a large cast-iron safe used by the building’s original occupants, and glass signage, whilst bringing a modern feel to the building. The redevelopment is a nod to history as it retains original touchpoints including the staircase. “It relates to history, whilst reflecting locality,” Taing told Finfeed. The building will become a shared office space, housing approximately 30 workers,and will encourage a collaborative community culture, with shared amenities including a spectacular looking boardroom. The building will become a shared office space. 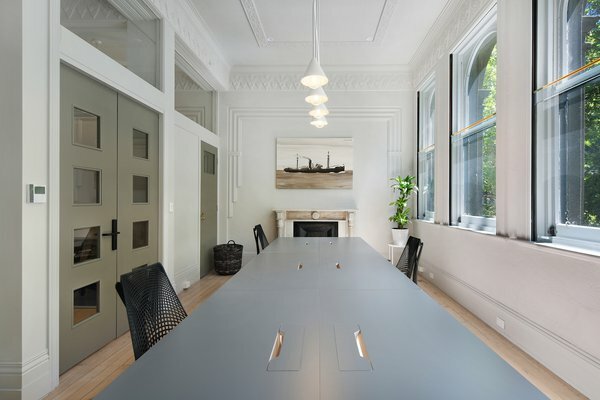 Excelon now occupies the top floor of the building as its headquarters and is looking for like-minded creative professionals to share the space. For Taing, his redevelopments are all about community. While two informal lounges will help to create this feeling, community means so much more. The next project slated for completion is Lothian Street in North Melbourne. Again, it references the past, particularly the old warehouses from its long-forgotten industrial years, whilst taking a contemporary and timeless approach to its inner city environment. In the following video, architects Kennedy Nolan speak about the craft in creating the Lothian St building and its sense of community. State of Grace restaurant is now located next door to Excelon’s head office, at 27 King Street and features the well-hidden basement bar Fall From Grace. Excelon is also two doors away to rich lister Jonathan Hallinan’s 30-level hotel development. Across the street, a Chinese investor snapped up an under-utilised, five-level office building at 26-32 King Street for $11.98 million, whilst Paul Little’s Little Projects is building the 30-storey, 280 room Hyatt Centric hotel nearby at 9-27 Downie Street. At 555 Collins Street (on the corner of King Street), Charter Hall Group signed a $140 million deal to take over a high-profile corner site on King and Collins streets from Singapore's Fragrance Group. The company is expected to develop the site into an office landmark and could amalgamate it with a site it owns next door to create a super site with the prospect of a $1 billion tower.